7:00 am on a Monday. Is it too early to be thinking about happy hour? Since it's Yelp Drinks week, I think not. 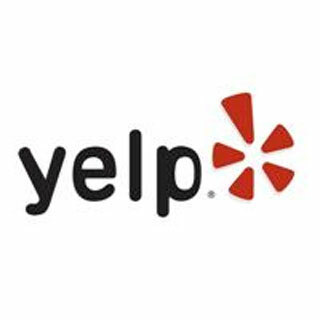 What's a "yelp" you ask? Yelp is my favorite user submitted review site for everything from doctors to night clubs. As someone who tries to avoid chain restaurants like the plague, Yelp has allowed me to explore some neat places while traveling on business or even in my hometown. I could go on forever about the awesomeness of Yelp, but there's a more important task at hand. Letting you know about Yelp Drinks, a week long celebration of extra long happy hours and drink specials! April 4-8 has been deemed Yelp Drink week, with bars around town offering half off drink specials from 4:00-9:00 pm. Such a deal! And we're not talking your weak well drinks here, folks! There are fancy beers, shots, martinis and drinks on special all week at some vegetarian friendly places like Lago, Reddstone, Touch Supper Club, and more! It would take me far too long to list out the smorgasbord of specials being offered, but you can check out all of the specials on the Yelp Drinks event page. There's even a friendly competition to earn a Yelp t-shirt. If you're able to make it to three of the restaurants/bars participating in Yelp Drinks week, you could get yourself some great Yelp swag - being given away this Friday at the Yelp Drinks Finale at Touch Supper Club. Enjoy this great spring weather and support local businesses while getting your happy hour on. Just remember to drink responsibly!